Holiday 2015 Deals Begin Today: FR920XT for $329, and more! I must confess something on behalf of the entire sports tech industry: Someone thought that Friday the 13th meant Black Friday. And thus instead of Black Friday deals starting two weeks from now as normal, they’re actually starting now. Yes, it’s confusing – but in a totally good way. Pre-Thanksgiving deals: These are everything ahead of the US Thanksgiving, on November 26th. These are and will be more pronounced this year than in past years. Black Friday deals: These are tied to Black Friday (BF), on November 27th. Some span that weekend. Generally speaking most retailers have access to the same major deals (i.e. Garmin, Fitbit, etc…). Cyber Monday deals: These are on Monday, November 30th. Occasionally they spill into that Tuesday as well. General December deals: We tend to see ‘repeats’ of some deals in the mid-December time-frame (usually around the 10th-15th). These are rarely better than BF deals, but usually quite good. Phew! 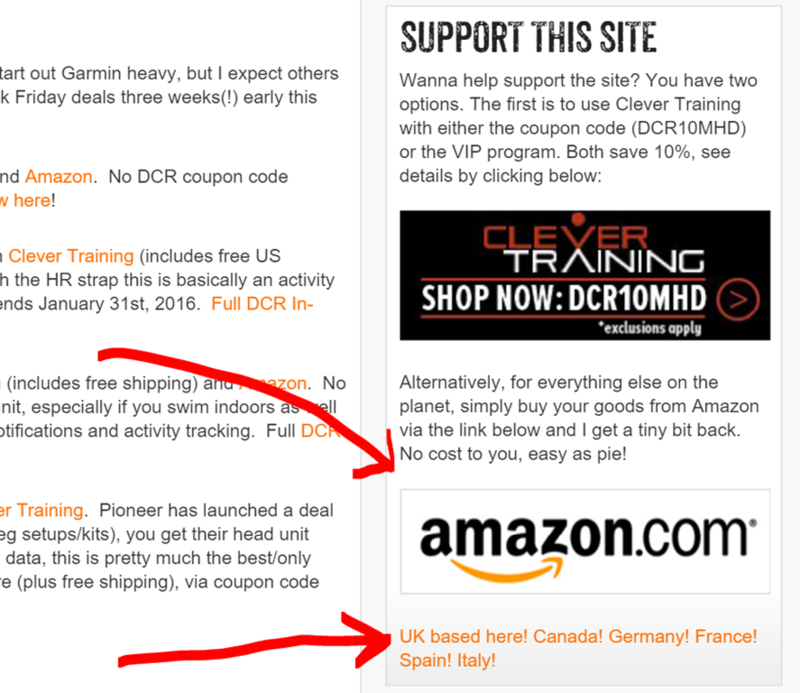 Note that for almost all of these, you can’t use a DCR discount code on it (the Pioneer you can though), but you will get free US shipping though through Clever Training. So my thoughts on this initial crop of deals? Well the FR920XT is definitely the best deal right now in terms of being the newest of the products for a 27% discount, pretty solid. It’s also got Connect IQ onboard, and I don’t expect a new FR920XT anytime soon since typically Garmin has been on a two years cycle (it’s only been a year). The FR220/FR225/FR620 are all good GPS watches, no doubt, but just don’t expect future updates with new features on any of them. They also don’t support Connect IQ. But the optical HR on the FR225 is solid and accurate. Whereas for the FR220, if you’re a pure runner at that price I’d give the slight edge to the FR220, but if you bike as well – then I’d go Polar M400. As for the Vivoactive – that’s a great deal if you’re a runner who also swims indoors and cycles. But it’s not a great watch for a triathlete, because it doesn’t have a multisport mode – nor does it support recording openwater swims. 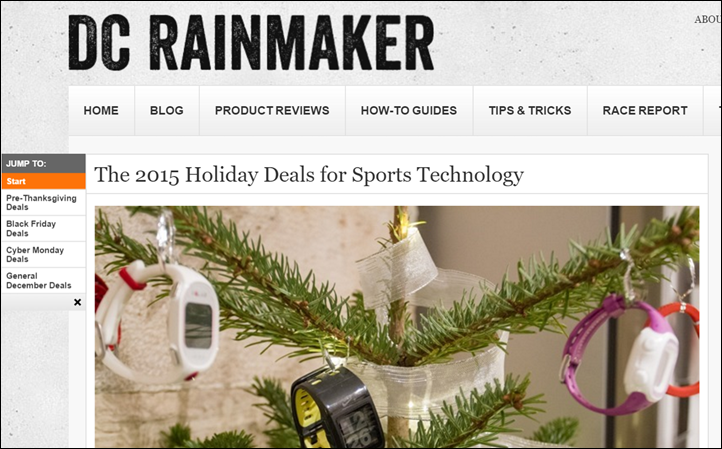 Finally – just as a general note – do not expect any holiday deals on any of the recently announced Garmin stuff (i.e. FR25/230/235/630 or Edge 20/25/520, etc…). Basically there’s no reason Garmin needs to discount that stuff since it sells just fine right now. Historically they’ve never put anything on holiday sales that’s been less than 9-10 months old. Oh, and I even put a little picture on the sidebar too! Just look over… —-> There. In years past this was often updated once per day, and more around the US Thanksgiving weekend. That’ll be the case this year as well. I’m just doing it on that dedicated page. Plus, almost everything you click on that page helps the blog if you purchase using the links. With Clever Training for things not on sale you can still save 10% using the VIP club, more details here. Even if you don’t want to purchase a new sport tech device, you can always support by just clicking the gigantic Amazon logo on the right side of the page before you make a purchase. It could be books, socks, power tools, lingerie, diamonds – whatever you want that Amazon stocks. And if you’re in another Amazon country? Just click the text below it! Once you click that text it’ll whirl you off to Amazon where you’ll shop just like normal. It won’t look any different, but simply tags me as a referrer. Doesn’t cost you a penny – but helps support the site! Finally, for my Winter 2015-2016 Gadget Recommendations, I’ve been sorta hoping that Garmin would start shipping the FR230/FR235/FR630 so I could make some decisions on whether that shifts any recommendations. It’d be tough to pretend those don’t exist, yet at the same time to recommend them if they end up being duds. So hang tight – I’m hoping by Nov 23rd to have recommendations there. Note those would largely impact the Running GPS watches, not triathlon watches. » Don’t forget the Massive Black Friday/Cyber Monday Deals Page! Woohoo! Have my list and waiting for the good deals. Thank you Ray! Is the Garmin fēnix 3 to new to go on sale? Ray do you think Amazon Europe will be giving the 620 any discount love? To be fair its already pretty cheap but it would be a secondary device to my v800. I’m suffering recurrent Achilles’s problems and am interested in the running dynamics features. Hard to say, I’ve never quite understood the pattern of what gets discounted on Amazon Europe. The deals were definitely better last year than the year before – so it appears they are getting more love each year. Any update on the partnership with “CT for Europe” ? 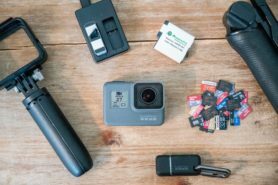 When will we have DCR discounts in Europe, and deals in Europe? I guess I’ll have to come personally to Paris and have a serious talk with you. No wait, first we’ll have cupcakes. Oh, well, I just want cupcakes….. Thanks Ray! In the pictures of the 620 on clever training.com, it shows there is a $25 rebate for the 220 and a $50 one for the 620! Do you know if that is still active? If so that would bring the total cost of the 620 down to $150. Amazing deal! Nevermind, I just saw it was only good through May 2015. They should take that pic down lol. Pic should be fixed momentarily – thanks! Also, the 620 with hrm-run is showing as $249 instead of $239 for me. Also being corrected as we speak! I thought you were correcting your post on here, but you actually got the price lowered to $239 with HRM-RUN! That is a great deal if you’re interested in the vertical oscillation, cadence, and ground contact time. The strap is normally $99 by itself! 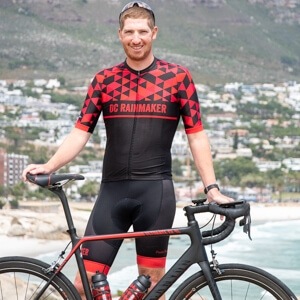 Any chance TrainingPeaks will offer a discount code? Not sure, but last year they did. 1) Would you recommend the Polar M450 over the Garmin Edge 500 or vice versa at the same price point for someone not tied to ANT+ (I’m using components that are dual compatible)? They both are going for around $140 on sale in various places. 2) Do you think it likely that I can significantly beat that $140ish price point on either a Garmin 500 or a Polar M450 over the coming weeks (I get total speculation, but you know more about these pricing trends than I do)? 1) If you’re not tied to ANT+, then I’d probably go M450. 2) I wouldn’t expect any sales on the Edge 500, not sure on Polar. We haven’t really seen Polar get into the sale thing in years past. MEC in Canada has the vivoactive for 199$ CAD which is a nice discount for Canadians. I was almost ready to pull the trigger on the 620. However, I then realized that the 230 will have much of the same functionality as the 620 plus new functionality. I really can’t decide which one to get. I’m not sure I would use a lot of the advanced features of the 620. The 230 has 4 data fields per screen now, it has 1s recording, it has music control for your phone, IQ connect. I’m not sure I will use the phone notifications and the activity tracker because I will most likely not wear the watch all day to prevent wear and tear on the expensive gadget. Also the 230 will be $225 (w/ 10% discount code) vs the 620 – $199 right now. Any advice? I also wish the 230 review was out! In the same situation.. I have the 630 on pre-order but mulling over the 620.. The wifi seems enticing..
You preordered the 630 or 230? The 630 and 620 both have wifi right? sorry. I meant I pre-ordered the 230.. Both FR630/620 have WiFi. Neither FR230/220 do. Personally, I’d go FR230/FR235 than FR620. But that’s just me. Thanks!! Have you been using a FR230/235? If could at least tell me you haven’t seen any major problems with it, I’ll for sure just wait. I’m not in a huge hurry to get a watch as winter is approaching anyway. I’d love to see a deal for the FR 235… Has anyone heard any rumors of such? Less than zero chance of that happening unfortunately. 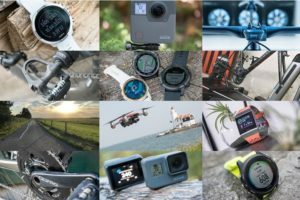 Garmin never discounts just announced products (it’s only about 2-3 weeks old announced). And, it’s not shipping yet. Very soon, but not yet. 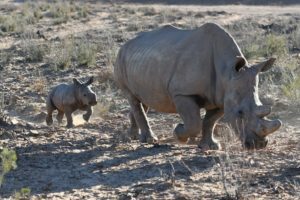 That said – you can get 10% off with the DCR/CT VIP program here: link to dcrainmaker.com it helps support the site too! Pioneer upgrade for 1000$ with 10% off from Clever Training that is only 900$. And you then get the free headunit worth 300$. Talk about a great deal!!!!!! It seems the 230 and 630 are shipping; I’ve seen someone on facebook who works at a store post that they received them, here in The Netherlands. Never mind, those are all pre-ordered watches, they’re not in the webshop yet. Yup, there are some FR230/630 shipping from stores. I don’t believe we’ve yet seen a report of a FR235 shipping yet. Great deals Ray! Hesitating to pull the trigger on the Garmin FR920XT with HRM-RUN. Do you guys know if there is a way to have music with this watch? I have wasted about 2 Ipod and numerous music players while running on the rain, looking for a good water proof option. No music on the watch unfortunately – just no store or Bluetooth Audio support. Sony NWZ-W273 is what I use. Maybe not what you’re looking for, but they are waterproof in that you can swim with them. It’s actually a set of earbuds with a built in MP3 player. So essentially they’re wireless. The controls take a bit of getting used to, but once you do they work great. There use to be a more expensive version that had Bluetooth and a remote that you can wear on your finger but I don’t see it listed anymore. Maybe because Sony just released their Sony Smart B Trainer. Music players are old tech, look into getting a waterproof phone instead, like a mid to low end Android with SD card support, Sony M2 Aqua for instance (Sony has good sound reproduction as well). Does anyone know if I could use my Suunto HR strap/sensor (ANT+) with the Garmin 920? Suunto isn’t ANT+, just private-ANT for their HR strap. So that wouldn’t work unfortunately. Thanks for the quick reply DC! I’ll stick with my Ambit2 for now… Just curious to see what innovations (if any) the Ambit4 will bring us! Can you really recommend that anybody get the 225 at this point, even at $250? I know you put the disclaimer that you shouldn’t expect any updates, but there are a lot of disgruntled 225 owners out there with new 235 coming out and lack of basic updates such as Ant+ re-broadcast. No, I think it’s overpriced. But at the same time, it’s sorta the beast we know insofar as optical. We don’t know how the optical will fair yet on the FR235 (totally different sensor). Till we know that things are up in the air there. But yeah, I’d personally pay $79 more for the FR235. What is the best wearable Garmin product for cross-country skiing? I require HRM, speed, distance, route, profile, and elevation gained features. Is the Garmin 920XT suitable? Is there any third party cross-country skiing activity tracking software compatible with Garmin products? I have used my 310xt and 910 xt for xc skiing. Works great. Hrm of course, and nice to have the barometric altimeter of the 910. Interesting to upload xc skiing to strava and see the same people that beat me on bikes also ahead of me on skis. I have used fenix 1 for splitboarding and ski touring the last couple of seasons, which works great. This year I have upgraded to a fenix 3, but haven’t gone into the backcountry with it yet. I don’t normally wear a hr strap so there is no risk ant+interference with my avalanche transceiver. Do you expect any deals coming from Power2Max (in the wake of 2 price drops in 2015). Looking to pick up a P2M – Rotor 3D+ spider for sometime. Any deals on the spider (currently priced @ $640) will make for an awesome holiday training season. I believe the P2M spider for Rotor 3D, 3DF and 3D+ crankset is the same. Also looking for a compact (110 BCD) spider. Would love to see a 20% discount from P2M. Rotor 3D is 24mm spindle so no. 20% would be amazing, but considering their price point 10% would sway me. I wish we could get it from CT using Ray’s discount. And FYI for anyone who has an REI account and wants some points, the Garmin Forerunner 920xt HRM bundle is on sale right now for $375 USD. Good way to support a company who doesn’t believe in making their employees suffer through Black Friday! C’mon the REI Black Friday thing is nothing but marketing. It has nothing to do with being a good employer, and in fact may be detrimental to their duty to manage for the benefit of their members. It’s still a good place to shop, but less so with the changes to the return policy. That policy was being abused. You only get one year now which is still unusually long when considering return policies elsewhere. Ray, thanks a lot for putting this information together and setting up a whole new page just for Christmas season deals. Is it the right time to buy the Fenix3? Or are there rumors that Fenix4 is on its way? I am in no immediate need for a watch (still doing okish with FR220), but as I started preparing for a triathlon, I wanted to go for the Fenix watch.. but no idea if I should wait or grab one of those deals! 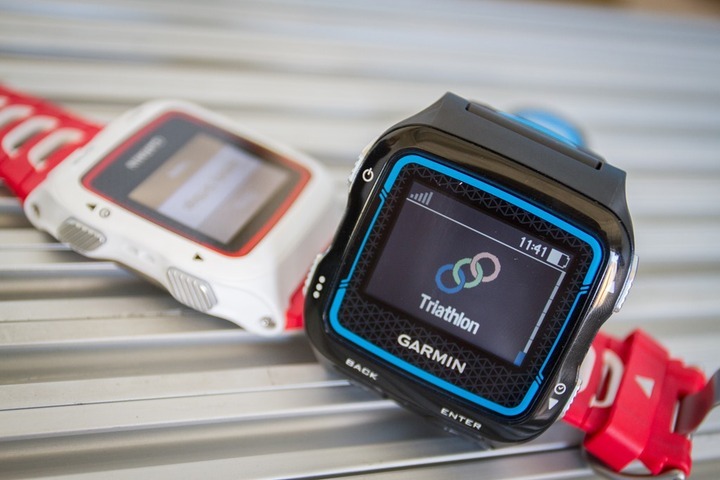 Any chance Garmin discount will extend to the 920xt tri bundle? Doesn’t sound like it. I think that falls into the ‘too new with the HRM-TRI/SWIM’ category unfortunately. Does anyone know if REI still has the 10 speed KICKR? The bike I’d want to use is 10 speed and that model is 100$ cheaper. Not anymore. I talked with Wahoo about it earlier this week, basically they ran out of stock globally. They do plan to offer it again, but it doesn’t sound like a ‘next week’ sorta thing. More of a month or two away type of thing. I find it bizarre that Wahoo charges an extra $100 for the 11 speed Kickr while the only difference between the 10 speed and the 11 speed Kickr is the cassette (the 10 speed Kickr can take the 11-speed cassette on the same free-hub, just need to remove the 1.8mm spacer), while one could buy an 11-speed Ultegra cassette for ~ $50 and use that with an 11-speed Shimano, SRAM or Campy drivetrain (as the cog spacing on 11-speed cassettes is the same for all three). Yeah, I don’t get it either. Both Ultegra cassettes are the same price at Performance when I buy them too. Which leads me to believe, although it’ll cost $100 more, it will work for me with my 10-speed Shimano/SRAM setup if I purchase an 10-speed cassette. Correct, but pricey? In short both Kickrs (10 or 11 speed) have the same freehub body (shimano, SRAM 11 speed freehub body). The 10 or 11 speed stands for the cassette they come with. As Ray very correctly pointed out, both 10 and 11 speed Ultegra cassettes cost the same, ~$50. Hence, I don’t understand what Wahoo is charging the extra $100 for (when selling the Kickr) with an 11 speed cassette instead of a 10 speed cassette. Thus, IMHO the 11 speed Kickr deal on REI is not that great. I picked up the 10-speed Kickr from Performance on Black Friday last year at 25% discount (+ extra 10% in points) and swapped the cassette with a $50 – 11 speed ultegra cassette. Question: I have an old Garmin 305 Forerunner (the “laptop on your wrist” model). The HRM strap works perfectly fine. I would think it should. I use the old strap from my 220 with my 920. Based on the winter trainer reviews I was thinking of getting the Tacx Vortex Smart, but I could be convinced to upgrade to the KICKR for that price (although shipping hurts a bit). Any thoughts either way? Any chance this shows up at Clever Training at some point? There’s currently no plans for Clever Training to offer Wahoo products. Perhaps that’ll change in the future, but that ball’s in Wahoo’s court. It’s a close call on the Vortex vs SNAP, but I’d probably give the Edge to the SNAP at that specific price difference – depending on how much $150 means to you. If $150 breaks things, then definitely don’t worry – as I think long term it’ll be a wash (minus slight differences in grade simulation). I also just saw a moment ago that the FE-C firmware for the KICKR went beta, so that’s super close. And all the other apps support it already. Of course, the Tacx units already have FE-C, but have less support on BLE while things build out there (slowly but surely developers are getting situated). I was just going to bring this up. I’m buying a smart trainer as a gift for a friend, and based on other people talking about issues, I don’t think my friend is capable of self solving any issues that may come up with the Tacx. My friend also has the wahoo app, hr monitor, and speed/cadence sensors, so it’ll at least be in the same ecosystem. Couple that with having a local REI to deal with, I may have to pull the trigger. Taking my first stab at a half-iron this summer, need to upgrade from my FR210 for training and racing purposes. (210 battery on it’s last legs) Would you go 910 over the Fenix 2 and VivoActive? Want a good watch for a TRI but also suitable for just running in case I go back to strictly marathons. In general if just a runner, I’d do: Vivoactive over 910XT. However, the Fenix2 throws a wrench in things if you’re a multi-sporter – and would be the direction I’d go over the 910XT because it has Bluetooth Smart support, so you can sync to your phone. So after weeks of research (to be interpreted as staying up until the wee hours of the morning reading your reviews and reader comments-yes…ALL of them), I finally decided last night on the Fenix 3 over the 920. ( I want a nice looking watch I can wear at work too). I was so excited when I seen the email from CT proclaiming up to 43% off on Garmin. But no deals n the Fenix. 🙁 Oh well. And I was going to ebay my 620 to offset the cost). Double oh well. But it’s all good though. I was very impressed the level of communication from CT when I ordered my 520 from them. They definitely got my business now. Still going to get the Fenix, though the 920 is mighty mighty tempting at that price. And I’ll just to wait for the sale to end to sell my 620. Im thinking whether to buy the garmin 620, or the 910 xt, because they are around the same price. Im a beginner triathlete, I dont own a power meter, so I guess I couldn’t really use all the functions of the 910 xt. What do you think? The garmin 620 is newer a little bit, but none of them can connect to garmin connect IQ. Are those reliable? This would be my first gps watch. Should I wait a little bit and buy the 920 xt? If a beginner triathlete, I’d go for a multi-sport watch over the running only watch. So I’d focus on something like the FR910XT, FR920XT, or Fenix3. I’m torn, the 230 definitely has me sold over the 620, but the 920 deal is fantastic. I’d be upgrading from the 220. Are the extra features worth it (Running Dynamics, virtual pacer, battery life), even if I’m not much of a bike or swim guy? Road/Trail guy trying to think long term. Personally, I suspect I’ll (as in, for me), settle on the FR230/235 as my running watch. I could be proven wrong, but I think for 99% of people the FR230/235 nails it. I just don’t find a lot of value in Running Dynamics, and I rarely use Virtual Pacer in my training/racing. Awesome, thanks Ray! I’m in the almost the exact same position. I do bike quite a bit, but I really would prefer a sleeker watch like the 235 (I ordered yesterday!) to the 920XT, plus the lack of a chest-strap HRM is a big plus. With ConnectIQ, the only thing I appear to be missing is the running dynamics like you mentioned which is cool, but likely not useful enough to justify or care about after a couple weeks. I’m hopeful with the ANT+ speed/cadence add-on the 235 will work well enough for my non-tri road and mountain cycling. Obviously for HRM i’ll also have to get the ANT+ chest-strap if I decide to mount/strap it on my handlebars. Glad you and The Girl are safe, sad to hear what’s happening in Paris. Is an HRM-RUN strap necessary for the FR230? I’ve already got the Edge520 with a premium HRM and wanted to know if I need the RUN specific strap to make use of all of the FR230 functionality. I’d like to purchase over at CT but not sure if I need the strap or can use my non-RUN specific strap. I actually tried the FR230 at Paragon Sports in NYC last night, the screen size looks a lot larger than the FR220. I wanted to compare the FR230 in store with the XT920 but that seems to be too bulky for me. No, in fact, the HRM-RUN strap won’t do anything special with the FR230. Any ANT+ strap will give you the full capabilities of that watch. So your existing Edge 520 strap is perfectly fine. Enjoy! You rock Ray, so glad I was referred to your site!! We are still waiting for an “european clever training” where to purchase to support your work! Ray, just seen the news, hope you guys are OK. Stay safe..
Im torn about which gps should I buy. Garmin FR 230 or 910 XT? Or should I wait, to see is the FR 235 optical heart rate relialble? Then the question would be FR 235 Vs 920 XT…. If you’re a runner, go for FR230. If however, you’re a triathlete, I’d look at the 910XT or 920XT. Still TBD on the FR235 optical sensor. Ray – just saw the news about Paris. I hope you and your family are safe. Ray, hope you guys are ok! I hope you and The Girl are safe. To echo above, I hope you and your family are well. After months of research and debating, I had narrowed my first running watch to either the TomTom spark or Forerunner 235, leaning towards the Garmom since it had the IQ Connect with great potential. I’m just a runner, don’t need tri capacities or even activity tracking etc… But do want an hrm and being strapless sure sounds nice, but not essential. And now Garmin puts the 620 on sale for a wooden nickel! Help me DC, you are my only hope. Do you think will you have a review on the 235 out before these great deals are gone? My TomTom Spark In-Depth Review will be out Monday. My FR235 review won’t be out for at least another 7-9 days likely. Thanks…glad you and yours are safe and able to post. Hey Ray, ive been reading about all the craziness in Paris right now. I hope that you, your friends and family are safe. Ray, I’m sure many of us are hoping you and yours are safe and well. My heart goes out to everyone affected in Paris. Just read about the craziness in Paris. Be safe. saddened by the terrible madness in Paris. Take care. Hope you and all your friends are safe. Ray – just wanted to echo the comments hoping that you and the family are safe. Man, been following your blog for so long.. So glad you and the girl are safe and sound. Many prayers to all those affected in Paris. Hard to fathom..
Ray, just another one of your readers glad to hear you and your family are safe. What a horrible tragedy. Any word if there will be any discounts on Fit Bit Surge or other Fit Bit products? Ray, hope you are not affected by all that is going on in Paris. 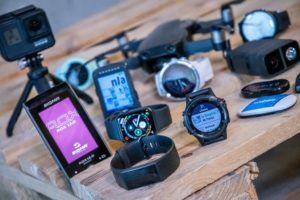 Quick question for you, I’m going back and forth between the Garmin 920XT and the FR235 and wanted to get your thoughts. I like the tri specific functionality of the 920XT but am intrigued by the optical heart rate sensor on the FR235. I have a bike computer that I like to use when I ride, and have never really felt the need for a GPS watch while swimming so I am tempted to go with the FR235. The one draw towards the 920 is the current sale price on that watch. As a triathlete, are there clear advantages of going with the 920 over the 235? The only situation I can see myself wanting a multisport watch like the 920XT would be during a race. My prayers are with you, The Girl and your friends in Paris. Hope you are alright ray! God bless. Hope you are safe and well Ray. Ray, thoughts and prayers with you and all in France. Hope you’re safe. Hope you’re all ok Ray. Thanks all for your thoughts. We’re safe, but it’s been an incredibly sad day here in Paris. great info and makes me doubt if I should wait for the Forerunner 235 or go for the serious stuff 920XT. I’m not a “pro”, so do I need the 920XT? The price makes it interesting. I use an Edge 500 for cycling, so from that persperctive the 920XT is not a must either. Do you know when the Forerunner 235 will be in store in Europe (esp. The Netherlands)? Thanks for letting us know you guys are safe. Very sad day. Hopefully it’s over. Stay safe, Ray and The Girl. You know yesterday I was pretty busy doing things… I saw the initial news reports where it was just mentioning an attack, no specifics, no idea of the depth of barbarity. It was probably 5-6 hours later when I checked the news again… And I cannot adequately express how stunned I was. I don’t KNOW God exists, but even as a “scientist”, I believe he does. I cannot fathom how a GROWING number of lunatics from one particular religion actually believes that God WANTS them to go kill other people. I look around at the world today… Not just the terrorism, but the other vile things that are happening. It does make me wonder as some prosthelytize, are we seeing the end of days? Forgive my rhetorical question… But the world’s largest sponsor of terror is likely just a number of years away from a nuclear weapon. Hope you are Safe. Thinking of you both in this difficult time. Hi DC! First of all very happy to hear that your family and you are all ok!!! Here’s my dilemma…..i’m a beginner to tri’s going to be starting in a club in january….i’m an avid cyclist right now and obviously getting back in to running and swimming….. I have been thinking of getting the 920xt….and now with it being lowered (price) even more…. My little dilemma…..i have a polar cs500 on my bike and it’s fine for speed/cadence/hr…etc but it will not be compatible with 920xt. So will i have to buy a garmin product for the bike?? edge 520/810…etc or just use my polar for the bike and 920xt for swimming and running? need you’re help or someone to direct me….thanks! For your FR920XT, simply get the quick release kit, which then allows you to easily mount it to a bike (it’s what most triathletes do). If you wanted HR and cadence, then you’d need to pickup those sensors. 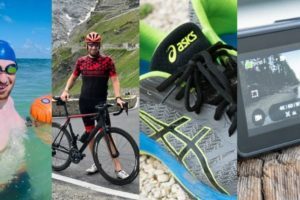 Garmin has a triathlon bundle available, but it’s not on sale (and I wouldn’t expect it to be on sale either). 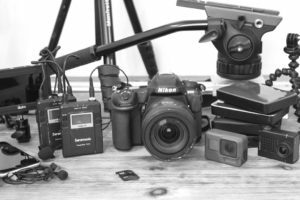 So you’d probably want to instead get the FR920XT HRM bundle, and then just pickup the quick release kit separately, and any sensors you wanted separately. Anyone see a seasonal deal yet on the Fenix 3? So here’s my question since I’m really going back and forth to which one I should get. Any thoughts which would be better for me before I pull the trigger? I have a very specific question that I hope Ray or someone can help with quickly as it relates to the current “deals” available. I want to jump on the Zwift (and other interactive training apps) bandwagon. Ray’s choice in the mid-range ($500-1000) “smart” trainer rundown is the Tacx Vortex Smart, which is available from US vendors for about $500-550. (It’s a LOT cheaper from Euro companies, even with shipping, but I think it would be wise to purchase from a stateside vendor.) REI also has the Wahoo Kickr SNAP currently on sale for $680 (20% off), for a limited time only. Is the Kickr SNAP a better buy at $680.00? Ray, stay safe… I think we all have a lot ahead of us before this finally gets resolved for good. In the meantime, any thoughts on whether we can expect the Powertap P1s to get a holiday discount during any of those phases? If I understand the deal correctly, it’s that CT actually doesn’t have them to give out. Essentially they come from Polar as part of the box program. That’s because typically CT just mails the consumer the empty box which a person then puts their cranks in for installation. So the completed box bypasses CT altogether. Hmm. I guess that would make sense if it’s a box deal from Pioneer. I feel like my box had everything in it though. I didn’t unbox everything but I did look and it definitely wasn’t empty and I ordered it from CT.
Hi DC! Can you please answer my message #119 i would really appreciate you’re input! PSA: the Vivoactive will be $169 at BestBuy on Black Friday. I have been holding off on buying one, but it will be hard not to if I can find one at that price. Is there a way to get 4 data fields on the VivoActive. I use 4 fields for running: pace, average pace, time, distance, and don’t want to sacrifice any of them. This is the only reason I haven’t pulled the trigger on the Vivoactive. There is a developer that makes a custom app for a small fee. (My Custom Runfields 469 ) He can probably get you any 4 data fields you want! I have been looking at watch information for weeks now until my eyes have started to cross….help! I currently have a Garmin 205 and want to replace it. I am getting into ultra running, so want something with fantastic battery life and GPS accuracy. I want it to be great on trails, reliable, accurate, and enough basic features to help with elevation readings, interval training, etc. However, I don’t want something that is overly bulky. I had been looking at the Garmin 920xt and the Ambit 3 Peak Nepal edition. Any thoughts? Any word on a Fenix 4 or something similar. Now that Ambit has announced an ambit 4 will this speed up the process of getting another Fenix? Also, will the Fenix 3 go on sail if they come out with a 4? Sorry if you already answered this. As for Garmin, not sure. Over the past few years they’ve been on an annual schedule for the Fenix series, but I’ve got no idea if that’ll continue or not. It turns out that an the ambit 4 was just another rumour (however my compliments to whoever wrote it, official and convincing, it had me convinced). Hoping a fenix 4 or the like will come out soon. I am exited to hear about this Traverse. Trainingpeaks just sent an email with a 25% off coupon for annual account renewal. Ray, can you or someone give me a quick run down on the Microsoft Band 1? I can’t find a review of it when searching your site. 3. Does it stay paired to an iPhone well? 4. Does the bulkiness prevent it from being wearable? Thanks for any help! I am basically trying to find the cheapest GPS watch with notifications. Are you not able to comment on it since it’s a Microsoft product? I have spent much more time with the MSFT Band 2, than recently with the MSFT Band 1 (most of my time was almost a year ago now with it, before I gave up on it). I wouldn’t recommend it as a GPS running watch. For me the HR accuracy on the Band1 was questionable (Band 2 is questionable as well, but generally good for steady-state running). GPS accuracy is actually pretty good on both. But both struggle quite a bit with water/sweat on the screen, the Band 1 more than the Band 2, but even the Band 2 doesn’t take much water to become a mess navigation-wise on the touch screen. More than anything else, I just find the bulk really uncomfortable on both. Trying to decide between the 920 TRI bundle and the 920 with HRM RUN for $369. Aside from swimming, no reason to go with HRM-TRI/SWIM. Otherwise the HRM-RUN (if you want Running Dynamics), or just a regular ANT+ HR strap will do just fine. Thanks. Appreciate the quick reply. All the deals are expired on the garmin 920xt by 23rd, does that mean no deals on Friday? Or cyber Monday? I posted a ton of Garmin deals that are active right now (almost all expire on Monday). The FR920XT isn’t one of them anymore though, that’s expired. Yes, you did. However I was eying the Tri bundle and thought it would be discounted for the Black Friday. Not very keen on the blue color, would rather have it all black – grey tone would be second best to all black imo. I got the 920 XT bundle at REI before the sale ended ($375.00). I’ve been through the Fenix 3 and the Vivoactive trying upgrade from my previous 610. All have their pro’s and con’s (I don’t envy Ray his job of sorting all these things out! ), but I think the 920 XT will be my all-around device at least till the Fenix 4 (or whatever) comes out. That is a great deal Stephen. When was that, I thought i checked them out. Or was that thru an email? Rico said: >That is a great deal Stephen. When was that, I thought i checked them out. Or was that thru an email? Rico–it was pretty well-advertised in a flyer they sent out, as well as a whole bunch of emails. Yeah, it was about as low as you ever see new Garmin stuff and I buy from REI whenever possible because of their super return policy. Any chance the Garmin FR920XT with HRM-RUN go back to $369? Thanks! Are there any deals on the 920XT Tri bundle? No, and honestly I wouldn’t expect anything there anytime soon (Garmin hasn’t authorized it). You’re best bet would just be blanket discounts (i.e. 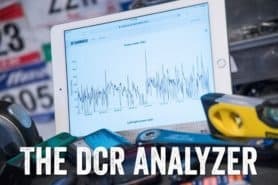 the 10% Clever Training DCR discount). The reason is simple: The unit is in high demand, and thus there’s little reason for Garmin to discount it. That is what I figured. And the 10% DCR discount doesn’t even apply to this 920XT Tri bundle. Looks like it will be a full price purchase. 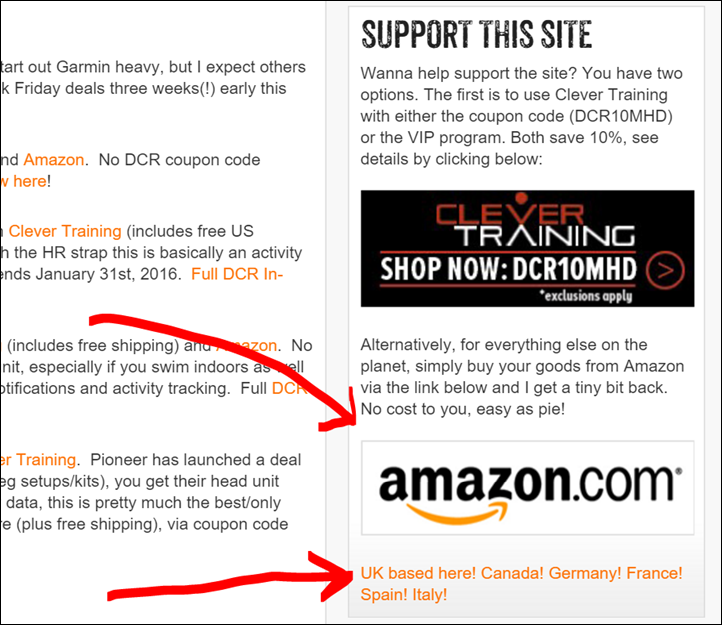 Not the coupon code, but the DCR/CT VIP Club (link to dcrainmaker.com) – it’s a Garmin restriction that this product doesn’t permit the coupon code, but does still allow 10% using the VIP club. Thanks for the support! Hey, thanks for the info. That is a big savings off the bundle. Having fun with my new 920xt … but have a question about Smart Notifications. How do you clear them off the 920xt when you’re done with them? I have an Android phone and have noticed that Twitter and Facebook notifications disappear on the 920xt after reading/looking at the posts on my phone. But not the same for SMS text messages – these seem to stay on the 920xt for indeterminate amounts of time (some have gone away, but I can’t tell why).